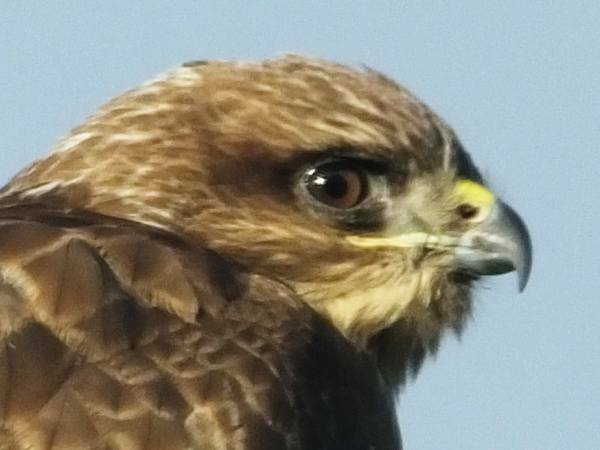 Buzzards are plentiful throughout Britain, with particularly high concentrations in the hilly areas to the west of Wales, where at times it seems there are almost as many buzzards as there are telegraph poles. They are resident birds, and so you can see them here all the year round. 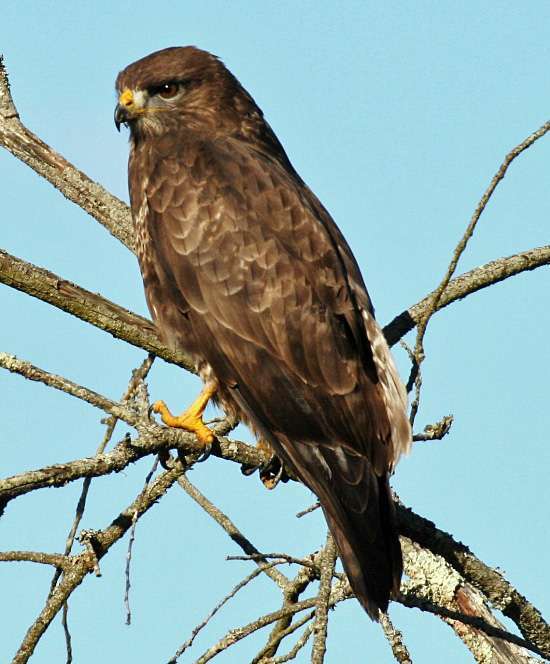 Their plumage varies greatly - the one in the picture below is a paler brown than average - but you will know as soon as your hear one that it can only be a buzzard: their plaintive mewing cries are somewhat similar to those of a cat. Buzzards are great gliders. On warm summer days they circle for hours, riding the thermals above forest or moorland. They eat rodents and other small mammals, birds, large insects and reptiles, and are often mobbed by crows and other birds of prey defending the young in their nests against these predators. Buzzards are also great scavengers. 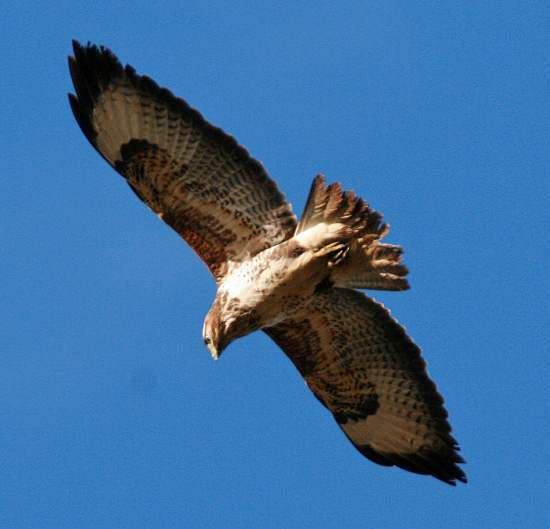 Buzzards will nest on cliff ledges or in tree tops, using sticks, leaves, grass and wool as nesting materials. A brood of two or three young is normal.